FACIM is Mozambique’s biggest annual fair, attracting the attention of companies from Africa, Asia, and Europe. 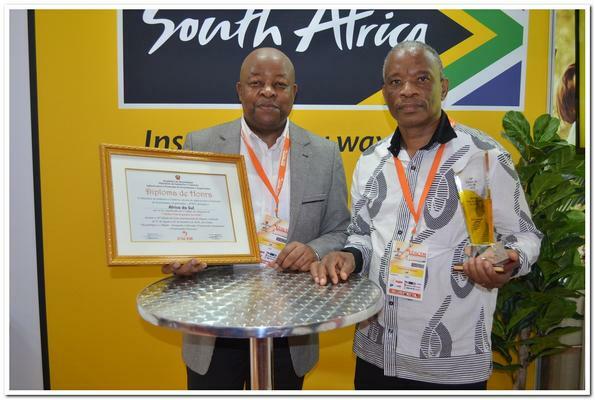 The South African pavilion was unanimously voted the best exhibitor in the Southern African Development Community (SADC) category at the 54th Feira International de Maputo (FACIM) trade fair, which ended in Maputo, Mozambique on Sunday, the trade and industry department (dti) said. The pavilion was hosted by the dti, with 23 businesses in the energy, air conditioning, textiles, agro-processing, jewellery manufacturing, and built industry sectors showcasing locally produced goods and services, the dti said in a statement. Commenting on the award, South African high commissioner to Mozambique Mandisi Mpahlwa remarked that the accolade was a welcome confidence booster and an important indicator regarding the continuous improvements South Africa had been implementing through the years of its participation at FACIM. “Our track-record is fairly impressive in that from 2015 to date we have successfully won an award at this particular showpiece. It is also important to recognise that we have been improving our performance and position with each successive year. “In 2015 we were crowned the third overall exhibitor, in 2016 we came second, and last year we won the overall best pavilion at FACIM. This year we romped home with the overall best exhibitor for the Southern African Development Community region,” Mpahlwa said. The fair organisers were getting better in their selection of companies that best represented the spread of sectors, products, and services addressing Mozambique’s immediate needs, he said. “As follow-up to this achievement at FACIM, it is important to mention that in November of this year we will embark on a trade mission to Pemba and Palma in the north of Mozambique, where gas fields have been discovered. “What makes this upcoming mission significant is that this year marks the beginning of a phase of investment and development of those gas fields towards the eventual goal of exploiting the gas underneath the soil. “We do believe that the scale of investments that are going to be required there, the amounts of inputs, and the levels and the volumes of services presents scores of opportunities for South African companies,” Mpahlwa said. FACIM is Mozambique’s biggest annual fair which caters for a variety of products and services, attracting the attention of companies from Africa, Asia, and Europe.